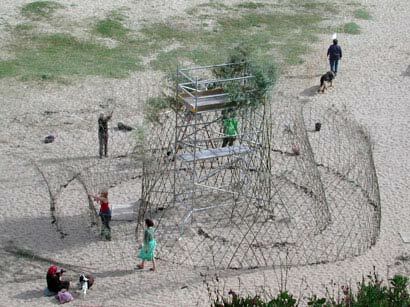 A National Architecture Week event made possible by a grant from Awards for All. 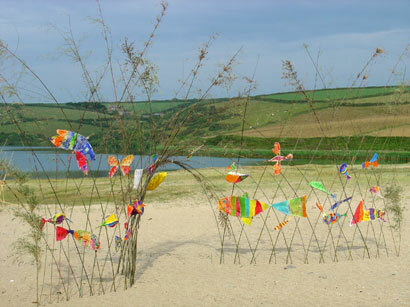 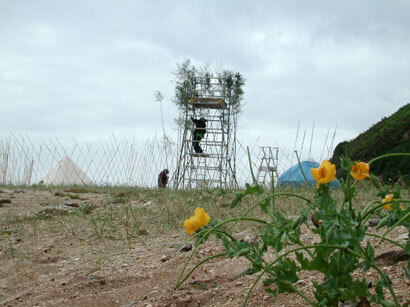 In June 2006 a bamboo and paper structure was created on Loe Bar, Porthleven. 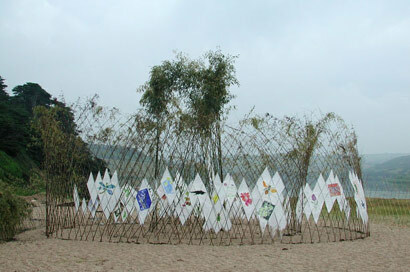 The project was led by Geraldine Jones, Hilary Burns and Susan Deakin, and profiled Cornish bamboo from Penrose Estate and the national collection at Carwinion Gardens, Mawnan Smith. 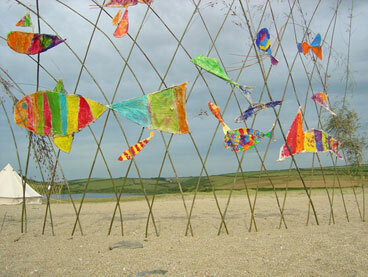 Prints were made in community workshops based on the shingle flora and fauna of Loe Bar reflecting its SSSI status. 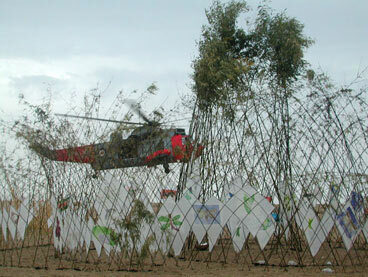 RNAS Culdrose provided a helicopter to transport equipment to the beach. 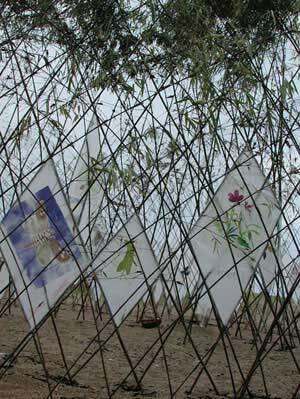 The structure was a spiral maze constructed using trellis weave, prints were made on Japanese paper.